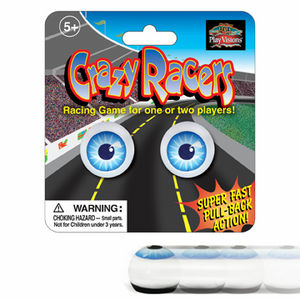 These Crazy Racers are ready to rumble! Just pull them back and they'll tear across any flat smooth surfae and race to the finish line. Sometimes they go straight, sometimes they go crazy... you just never know! Recommended for ages 5 and up.